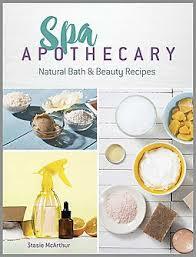 Spa Apothecary gives you over 100 recipes to create scrubs, lotions, soaps, and much more from everyday items you probably have in your pantry. By making small batches there is no need for preservatives. And by using the guidelines given, such as sterilizing the jars and containers and follow the storage recommendations such as “in a cool, dry space” you will have natural, fresh items on hand. The author states that most of these recipes are meant to be used immediately. By using her simple recipes, it will be easy to whip up a batch of natural lip balm, moisturizer or exfoliating leg scrub when you need them. Think of it like cooking, when you have the ingredients and a great recipe it is easy to make something homemade instead of buying takeout and most of the time it is much better for you. The book is divided into sections; Face and Hand Care, Skin and Body Care, Hair Care, and Healing. It is hard to choose which recipes to highlight. All of them sound easy to make and use things I have in my pantry right now. There are a few things I would have to purchase such as jojoba oil, emulsifying wax and Vitamin E softgels. But each of those items would cost less to purchase than ready-made lotions, body butters, callus remover rub (can’t wait to try this one before sandal season) and spicy sore muscle salve. Since all of the ingredients are free from chemicals or anything else that is harmful if used as directed, you not only save money but avoid things that may harm you. Preservatives that are found in purchased items gives them a shelf life of several months or years. You put fresh food inside of your body, so give the outside of your body the same consideration. Your skin and pocketbook will thank you. Mimi Rousseau is living her dream – until the nightmare of murder darkens her door. Her life has known sorrow before; namely the unexpected death of her husband that revealed they were broke and deep in debt. Coming home to Napa Valley isn’t easy, but when she is introduced to Bryan Baker she dares to think her dreams of owning a successful restaurant might come true. Baker is willing to finance the bistro as well as the attached inn because he believes in Mimi. With her every step of the way, he encourages and supports Mimi both financially and emotionally. Like a big brother, he is always there for her – until he is found brutally murdered the night before the first wedding planned at Bistro Rousseau. Mimi is devastated by the loss of her mentor and is determined to find out who could possibly do such a thing. Unfortunately, there is a smorgasbord of suspects staying at the inn for the wedding that was preempted by Baker’s death. That doesn’t stop Mimi’s investigation, much to the local law enforcement’s chagrin. She is hoping to serve up justice with a side of incarceration to the person responsible. The killer isn’t about to take her meddling laying down – will she be the next victim? This delightful cozy mystery has more ingredients than a French pastry and is just as delicious. The main characters are quirky, fun and likable. Of course there are a few that I wouldn’t want to eat lunch with, slimy characters that are absolutely necessary for a great cozy mystery. 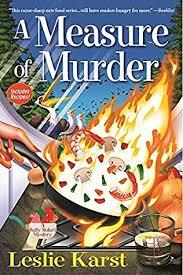 Another great addition to this delightful mystery is the recipes the author has included at the end of the book. It is always fun to have the recipes discussed in the book available to enjoy. Seriously, who doesn’t crave a delicious éclair or creamy, crunchy topped Crème Brulee after reading about the characters enjoying these decadent treats? I really enjoyed A Deadly Éclair. 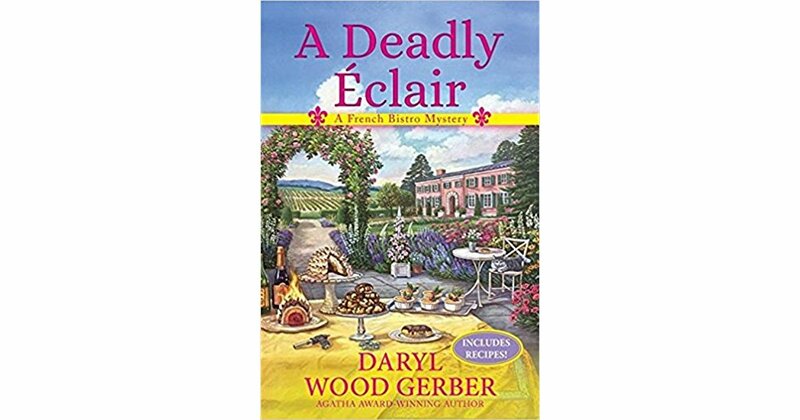 It is the first book in the French Bistro Mystery Series, and the first book I’ve read by award winning author Daryl Wood Gerber. 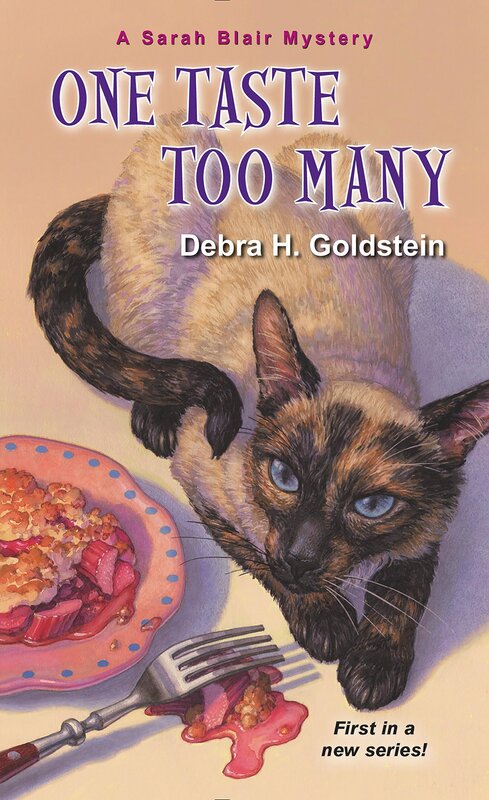 She writes two other series, the Cookbook Nook Mysteries and the Cheese Shop Mysteries (writing as Avery Aames). I plan to check out both of these series in the near future. Sally Solari has more on her plate than the delicious meals she is serving at Gauguin, the restaurant she recently inherited. Her schedule is full with the management of Gauguin. She is also helping her father at Solari’s, the restaurant her family has owned for years. Sally is slowly trying to find a replacement for herself so she can focus more on Gauguin, but her father is resisting her efforts. He is sure no one can take his daughter’s place in their family’s Italian restaurant. Even though Sally loves the restaurant business, she decides to carve out a bit of her precious free time to do something for herself. Deciding she will spend some of the precious few hours of her free time by joining a local chorus that needs members. Like any social group, the choir has personality conflicts, but overall they are a great bunch of dedicated vocalists that enjoy each other and their craft. The director has found fame with the discovery of some sheet music by a famous composer making the pull to be a part of the choir more desirable. Unfortunately their first rehearsal ends in tragedy. One of the tenors falls to his death. His girlfriend seeks out Sally and asks her to investigate the accident because she is sure it was murder. The police have closed the case, but Sally agrees to switch her chef’s hat for a deerstalker a la Sherlock Holmes because she doesn’t think the evidence adds up to an accident. That means that one of the members of her choir could be a murderer. Let’s all hope Sally isn’t the next victim. 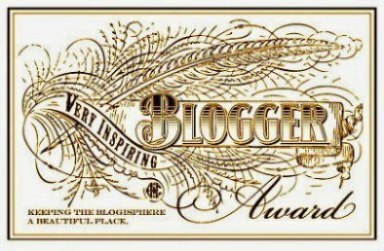 Karst writes a meaty cozy mystery. Her characters are strong, multi-faceted and interesting. Sally juggles her career and personal life just as most of us. She loves the restaurant business, her family and friends. 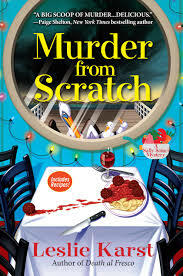 It is refreshing to read a cozy mystery without the main character being a bit ditzy. Her father and grandmother enforce the family values she believes in as well as adding humor to the story. The plot is interesting and solid. There are several suspects, all of them likely killers. As Sally quietly works the case in her spare time, the motives are varied and believable I was convinced I knew who the killer was until a new theory was introduced that was as likely as the previous one making me change my mind in an instant. 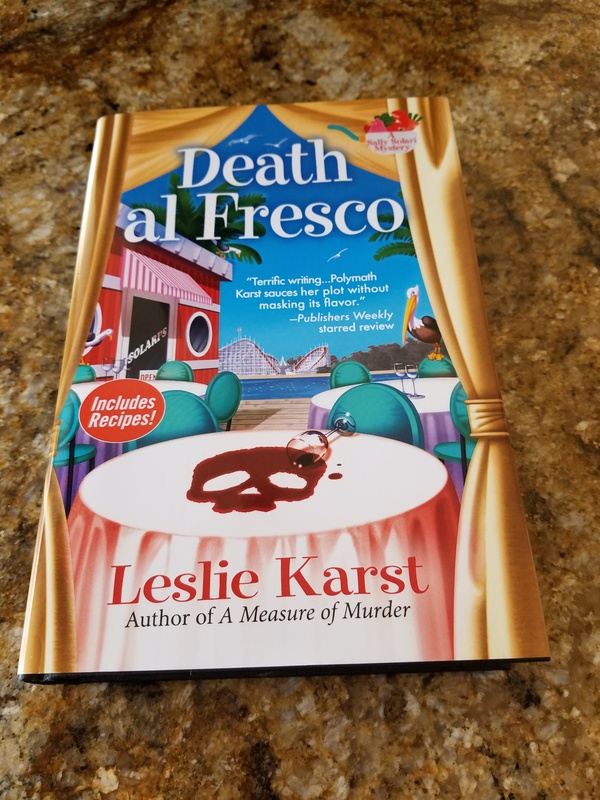 A Measure of Murder is the second Sally Solari Mystery by Leslie Karst. It is the first one I have read, but it worked well as a stand-alone novel. That being said, I enjoyed it so much I plan to read the first in this series, Dying for a Taste. It was really a sweet treat to get to the end of the book and see that some of the delicious recipes discussed in the novel were in the final pages. All of them look delectable. I can’t wait to try the Grilled Salmon with Papaya and Avocado Pico de Gallo. Lazy Crafternoon made me want to pull out the craft supplies, call a few friends and have a fun crafty day. Fields has compiled a collection of crafts that are easy to make, useful and don’t cost an arm and a leg. She begins with explaining supplies and how to use them. They are common in most if not all households (scissors, glue, paintbrushes) or easily purchases at your local craft, hardware or even grocery store. The most exotic thing she discusses is decoupage glue, so you won’t have to order something from an expensive craft house to complete her projects. Accessories includes headbands, decoupaged shoes (I cannot wait to do this to a pear of my favorite flats that are looking tired!) and a diffuser necklace that uses essential oils to name a few. There are a total of 10 crafts in this section. Decorate gives the reader instructions for ribbon wreaths (think Christmas gift! 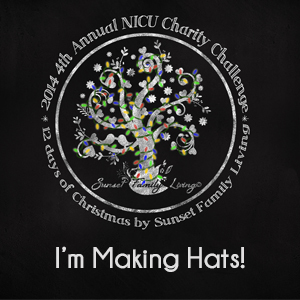 ), no sew pillows and cute flower pot makeovers. There are a total of 14 crafts in this section. Study is the section of school supplies that can be used for many other purposes also. My favorite in this section is the cinch sacks – they can carry so much more that books – think knitting! They are perfect for the project on the go. There are a total of 10 projects in this section. Celebrate is all about party decorations and gifts wrappings. The coolest trick to make wrapping paper with a lint roller will absolutely be used this Christmas in our house! 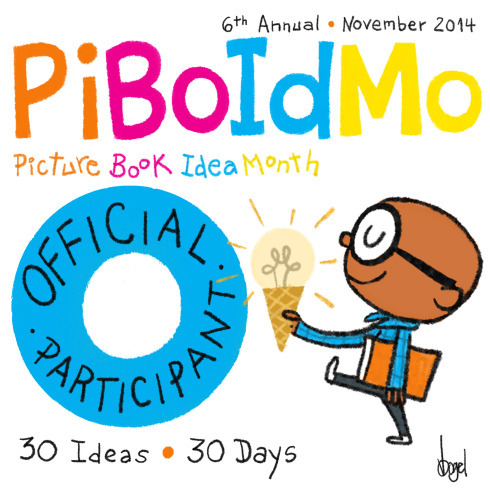 You can celebrate with all 11 of the projects included here. Food is the final section. Why food in a craft book? Remember the title is Lazy Crafternoon and in order to have a Crafternoon you have to add friends and food to complete your day. There are 7 crafty type recipes that look yummy and perfect for your crafternoon or for giving or just plain enjoying yourself. The one I can’t wait to try is sun tea in mason jars. How fun to personalize each one for the person that is going to enjoy it? Overall, this is the best, most versatile craft book I’ve read lately. The ideas are fresh, easy and Fields reminds us how fun it is to spend time crafting with good friends and of course good food. This is written for teens/young adults but adults will find plenty of projects they will want to do – I did! 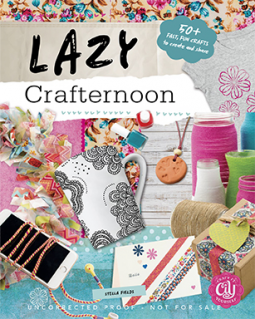 Watch for Lazy Crafternoon at your local bookstore or online, it is available on August 1, 2016 but can be pre-ordered now.